National security does not just come from having powerful weaponry. Countries such as Switzerland, Sweden, Finland, Canada and others in the West have based their security primarily on their economic strength, which comes from the four key pillars of progress: education, science, technology and innovation. The real strength of Pakistan will emanate from a highly educated and technologically competent population. Pakistan made a wonderful beginning in 2002 with the formation of the Higher Education Commission (HEC) to strengthen its universities. The results were “spectacular” as articulated in an article by Prof Michael Rode, former chairperson of the UN Commission on Science, Technology and Development (UNCSTD). 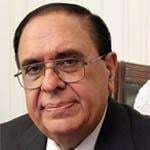 In 2008, he wrote: “In no other country has the higher education sector seen such spectacular positive developments as that in Pakistan during the last six years”. Alas things came to a grinding halt when the previous government tried to destroy the HEC by cutting the budget for higher education, and, at the behest of 200 politicians with forged degrees, issued orders for its dismantling. Fortunately, I filed a petition and the Supreme Court came to the rescue, allowing the organisation to survive. However, some key programmes that we had initiated had already been cancelled and could not be retrieved. One such programme was the establishment of seven foreign engineering universities and four law universities (one in each province). The good news is that two provincial governments have now decided to revive this programme. In a visionary initiative, Imran Khan approached me and asked for assistance to set up a good foreign engineering university in Khyber Pakhtunkhwa. We quickly put together a consortium of the top applied science and technology universities (Fachhochschule). The Pak-Austrian engineering university will start functioning in Haripur, Hazara within a year, with degrees being given by the Austrian partner universities. A similar programme – the Pakistan Italian University in Lahore Knowledge Park – has now been initiated by Punjab Chief Minister Shahbaz Sharif. I have again been requested to lead this initiative and the new varsity should start classes within 12 months if there are no bureaucratic hurdles. The degrees will again be given by the Italian partner universities. About three months ago, I sent a proposal to set up a foreign engineering university to Sindh Chief Minister Murad Ali Shah (who is an engineering graduate) as well but a decision is still awaited. While there are a number of engineering universities in Pakistan, trained engineers produced often lack the practical approach needed to solve real industrial problems. Countries such as Germany, Austria and some others have therefore established two types of engineering universities: the ‘technical universities’ that have strong research components and provide a very strong theoretical background of the subject with less emphasis on practical training and the ‘Fachhochschule’ that provide basic theoretical background but have a much stronger emphasis on practical training that is needed in the industry. Companies such as Mercedes, Siemens and others have a huge demand for students that graduate with Bachelor’s degrees from Fachhochschule because of their practical orientation. Both the above types of engineering universities are important for the development of a well-balanced industrial economy in Pakistan. To achieve this objective, the universities must first and foremost provide a critical mass of talented and highly-trained engineers with practical orientation so that they can address the industrial manufacturing problems. At the same time they must provide a means of creating indigenous high-technology enterprises in Pakistan and provide powerful incentives to foreign industries to invest in Pakistan. Initially, the programme will require the allocation of appropriate financial resources. However, the return from such an investment will be rapid and substantial in terms of enhanced labour quality, job creation, modernisation of national technology infrastructure, increased trade and consequently of increased national wealth. If one examines the path to progress of several rapidly-growing economies in Asia and Europe, there is clear evidential justification for this approach’s benefits to national economic development. Anyone who has visited Bangalore in India and seen the dramatic transformation that has taken place in just one decade will have no doubt of the economic advantages of such an investment in technology. The transformation was created and fuelled by the availability of a high-quality workforce of engineers and technologists in India. Since the partner foreign universities will be responsible for the teaching and research programmes as well as for holding examinations and giving degrees, the standards will be equivalent to those in the partner foreign varsities. This will allow the youth of Pakistan to benefit from the highest quality foreign university education without going abroad. In summary, the programme is designed to produce large numbers of engineers and technologists who will: service the demands of Pakistan’s local industrial needs, attract inward investment into Pakistan from the partner countries because of the availability of a highly qualified and relatively inexpensive labour force and create their own high-technology businesses with confidence. The initiative to set up top class engineering universities is not just a programme of higher education. It is closely inter-linked with a simultaneous programme for the development of technology-driven enterprises. The concept can only be realised holistically if the educational infrastructure created by the universities has a corresponding and closely parallel growth in high-technology industry. To meet this objective these universities will have an integrated technology park. Technology parks are a potential source of knowledge-based industries and are increasingly viewed as essential components of the knowledge economy. The concept of technology parks is embedded in the clustering of knowledge-producing institutions and groups of interconnected local companies including multinationals. Co-location is believed to not just facilitate learning and technology transfer but also helps in achieving high technology knowledge-based industrial growth in a region. Science and technology parks provide office buildings, laboratory space and infrastructure facilities where new research and ideas generated by the universities are tested and commercialised. Most technology parks also host business incubators which provide business support services such as physical space, management assistance, coaching on business plans, access to capital and equipment, technology and feasibility studies for marketing. The World Bank has identified four functional components of technology parks: businesses comprising local and multinational firms, knowledge providers that include world-class universities and applied research laboratories, industry support services which provide a variety of services for new start-ups, enterprise development that include engineering consulting and legal companies, and financial support services that include venture capital, banks and regional development agencies. Something wonderful is beginning to happen again in Pakistan. Let us hope that the programme is not derailed again by myopic and corrupt politicians.